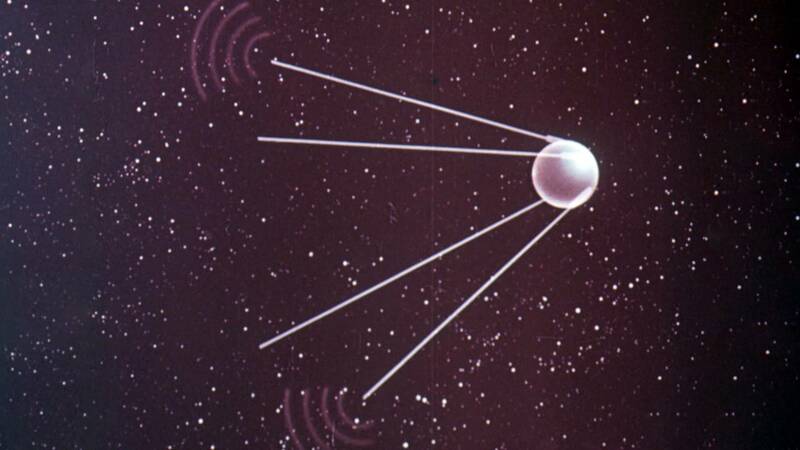 Sixty years ago, Sputnik became the first satellite in space and changed the world forever. Launched by the Soviet Union on 4th October, 1957, this shiny orb kick-started the space race, and opened up the heavens for mankind to explore. To mark the occasion we arranged access to the private museum of RSC Energia, the Russian state company that actually built the world’s first satellite, officially called Sputnik-1. Hanging in this Moscow treasure trove of pioneering space probes is one of the original Sputnik flight spares, built in 1957. Compact, at just over 80 kilogrammes, its polished surfaces and distinctive antennae are now unmistakable – look at this satellite, and the first word in your mind is ‘Sputnik’. The decision to keep it simple meant the Russian engineers could race to launch first, beating the United States. As soon as Sputnik was launched it began orbiting the world every 98 minutes, broadcasting a unique and easily captured ‘beep, beep, beep’ signal. Sixty years ago, the news spread at rocket speed. “It was a major event”, recalls Roger-Maurice Bonnet, Former Director of Science at the European Space Agency. “It was the start of the conquest of space by the Soviets, which nobody was expecting. “We were expecting it to be the Americans, of course, who did come along later, but it was a major panic in the capitals of the west, knowing that the Russians, the Soviets, were capable of doing such a thing,” he smiles. John Krige, Historian of Science and Technology, Georgia Tech, says: “Sputnik was incredibly important because it launched the space race with the United States, between the United States and the Soviet Union. With the space race underway, the lead engineer and manager of the Soviet space effort, Sergei Korolev, moved quickly for another launch. Less than one month after Sputnik-1 they launched Sputnik-2, with the dog Laika on board. She became the first living being in space – although she died from overheating early in her flight. Veterans of the period recall a time of great ambition. So began a long list of Russian firsts – the first man in space, the first woman in space, the first spacewalk, the first spacecraft on the moon, the first spacecraft on Venus, and the first soft landing on Mars. However, with the American moon landings in 1969, the space race that Sputnik began started to draw to a close. So what now, on this 60th anniversary of Sputnik? What do Russians today know of its legend? We asked visitors to Moscow’s Museum of Cosmonautics. “The first Sputnik was launched in 1957 by the Soviet Union. That’s the only thing I know”, said a teenage boy. That legacy lives on even today. Every astronaut bound for the ISS blasts off from the same Baikonur cosmodrome as Sputnik. And Russian space agency Roscosmos has many new projects – including the Federation deep space capsule and the new Vostochny launch pad in eastern Russia. Today it’s all about cooperation with ESA and NASA, rather than competition. Roscosmos’ Komarov told Euronews: “I believe now it’s not that important in which field we are first. What matters is what we are aiming to do with our partners. I mean those really important breakthrough explorations. Such missions to the Moon and Mars would surely have pleased the engineers and scientists behind Sputnik, whose vision, energy and ambition still resonates 60 years later.